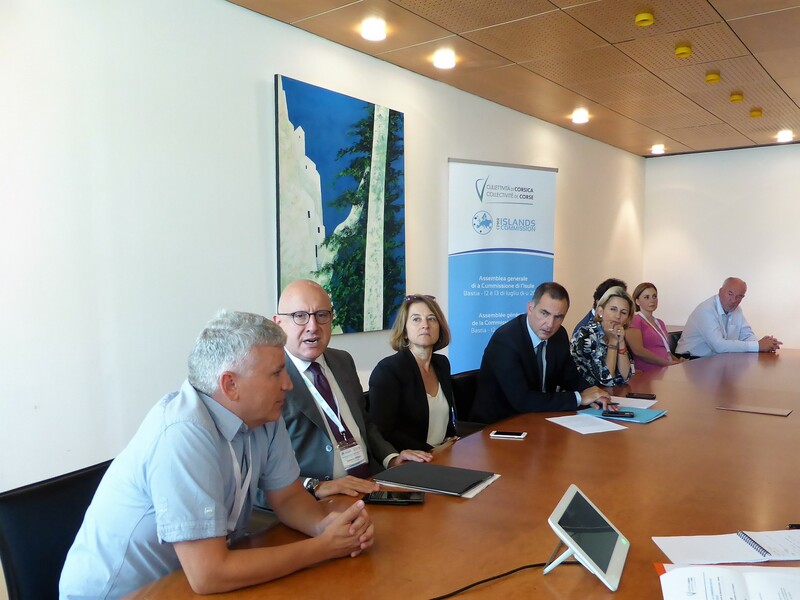 The member regions of the CPMR Islands Commission held their Annual General Meeting on 12-13 July 2018 in Bastia, Corsica, at the invitation of its President Gilles Simeoni, President of Corsica Executive Council. 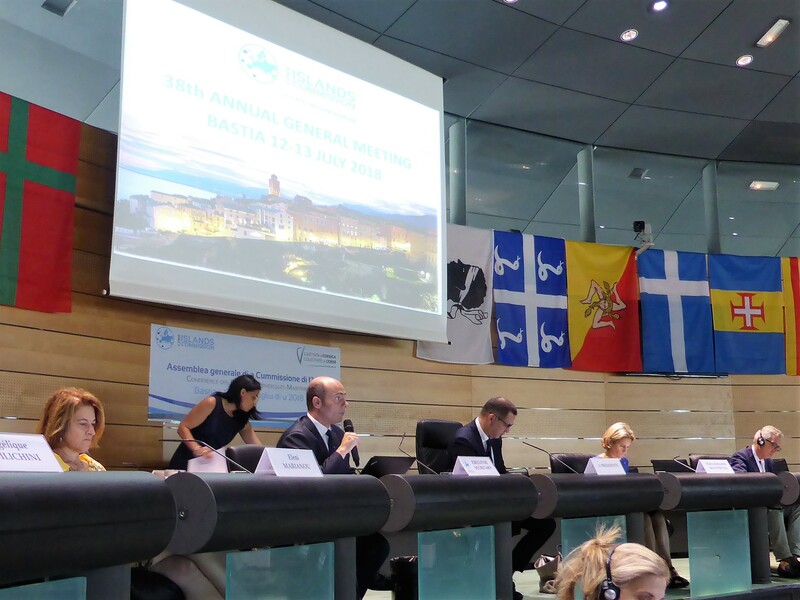 This high-level meeting brought together elected representatives from island authorities across Europe and beyond, including authorities from the Mediterranean Sea, North Sea, Baltic Sea, Atlantic and Pacific. Discussions focused on post-2020 Cohesion Policy, transport and accessibility for islands, sustainable tourism and energy, with participants including representatives from the European Commission, national governments and the European Parliament. Keynotes speeches were made by MEPs Tonino Picula, Michela Giuffrida (via video) and Isabelle Thomas. 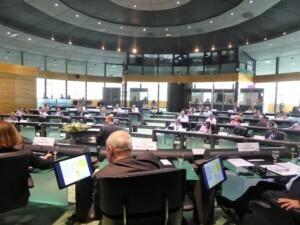 More specifically, member regions adopted a on the future of Cohesion Policy, which outlines the main issues at stake for island regions and conveys several messages to the European institutions, such as the need to give more flexibility to islands in the management of EU funds and the utmost importance of maritime cross-border cooperation programmes – jeopardised by the new Commission’s proposal. They also approved their political and strategic position with the Final Declaration which covers key political issues of interest to its members. 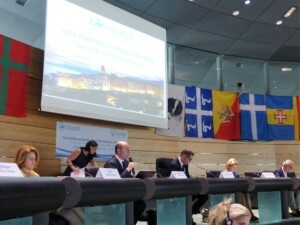 In particular, the Declaration calls on Member States with island regions to relay and support its messages to the European institutions, in view of the upcoming – and likely difficult – negotiations among EU Member States and within the European Parliament on the post-2020 EU budget and EU policies. During the meeting, member regions also elected their new Bureau and unanimously re-elected Mr Gilles Simeoni as Chairman of the Islands Commission. The annual meeting ended with a general consensus from Member Regions to continue to work and represent EU islands’ objectives on a common and united voice, with a next meeting planned during CPMR General Assembly in Madeira, 17-19 October 2018. The 2019 IC annual meeting will be held in Corfu on 21st – 22nd March. More information and presentations delivered are available here.